For small Birthday Parties, simply book a large table in the Function Room and pre-order a set meal for your guests from our Bar Menu at around £25.00 per head. Use the Hot tub and spa. We've even had some Birthday groups organise their own group Ghost Tour to make their party 'something different'. For details of all our function rooms and for Exclusive Use on larger more formal events, see our Weddings Website here. For large Birthday Parties, you could hire in a musician, DJ, performer or singer and have a bash in our Patti Bar. 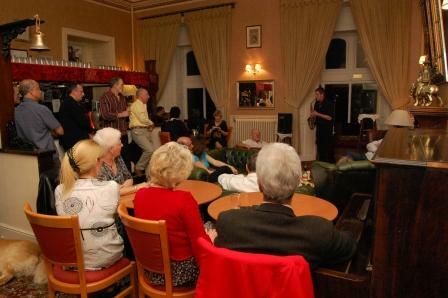 Or put on a show in the theatre, with dinner and dancing in the main function room. You could even put on a show or hire a well known performer in the Theatre. One Birthday party client hired Joe Longthorne privately, while another even put on their own opera. You can adapt our popular Evening Entertainment Package to create an Evening Meal, Dance and DJ package at £35 per head. For this Package you will need 100 guests of whom 20 stay overnight on a B&B basis at regular tariff. 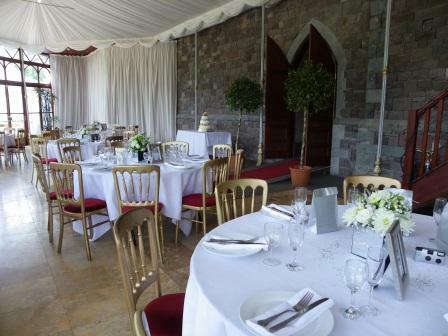 Or you can convert the £50 / head Weekend Wedding Package or Mid-week Wedding Package into a Large Birthday Party event. At weekends you need 50 guests with 50 staying overnight on a B&B basis at regular tariff, while on weekdays you need 50 guests minimum but only 25 overnight. If you are unable to arrange for 50 guests to stay overnight, but have a minimum of 75 guests, see our Members Wedding Package. All the above are for exclusive use, but for smaller birthday parties, why not simply book a table in the function room and pre-order a set three course evening meal at £25/ guest.